Who? | Life. Seriously? Funny! ← Is God Fair? Should We Be? 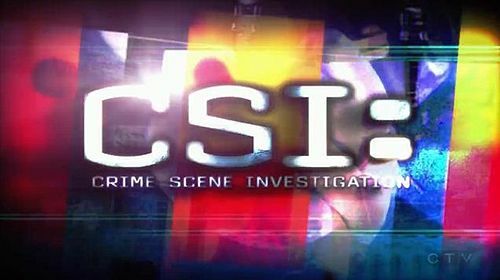 Those familiar with American television most likely are also familiar with the television series CSI which appears on the CBS television network. The show premiered in October 2000 and has enjoyed incredible ratings success ever since. One of the most recognizable aspects of the show is its theme song Who Are You performed by The Who, a powerful rock band which formed in London, England in 1964. 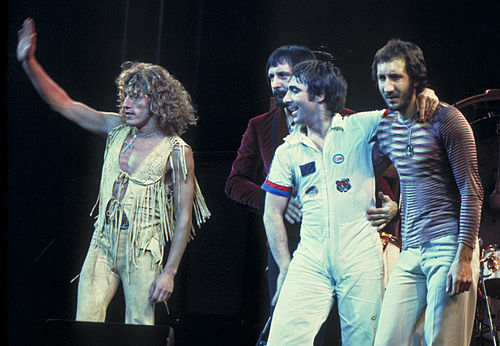 The Who, by any measurable standard, is considered one of the quintessential rock bands of the 20th century. Even using the term quintessential adds to the already loaded measurement of this group. The Greeks acknowledged there were four essences in their observation of humanity: earth, fire, air and water. Yet to describe something as possessing a quintessence acknowledges an experience which is beyond our observable senses. This is a great description of the music of The Who. The song Who Are You begs the question of comparative meaning of one woman compared to any other. The singer bemoans his inability to ever again find satisfaction in any other love after such an existential experience. The song as a whole depicts the devastation left behind in the wake of such immeasurable love. I realize there are real people (not that Roger Daltrey isn’t real, but we must recognize the song is a performance for an audience) who longingly wish for an experience of love like Daltrey describes. While the song is directed outwardly (who are you? ), it accurately communicates the raw despair we feel as people when we have lost something we did not know we had; when we have not realized the value of the relationship we have been given. Some of you who are perhaps much more introspective may think, “I do not really struggle with this question in my life.” Yet if we really examine our lives and our lifestyle, we do struggle with who we are! For the vast majority, we define ourselves through comparison with others things or people. While we may be suave enough to not directly reference another person, our self-definition is shaped through our desires and interaction with others. There are many people who define themselves by external things—clothes, cars, houses, jobs and jewelry! Yet do we really grasp the fact we are defining ourselves by the temporary and the transient rather than the eternal and the permanent? At no moment in time do we as a people gain an immediate, visceral understanding of our situation than when we are sitting at a funeral. At that moment we find ourselves struggling with a deep longing for the eternal; we crave, hunger and long for another moment or a touch from the person who has died. We find ourselves wishing we could have told them again (to reassure ourselves more than the one who has passed) how much we loved them and enjoyed their presence. All of the “things” in this world become meaningless and worthless because we would trade everything for another brief moment or touch. It is then we wonder who we really are. We are sobered by the fact life is so short. We long for the relationship which at that moment we may have felt we have squandered foolishly. What is it that gives us value and meaning? Is it the material goods of this world? Is it a designer’s name written on our clothes and jewelry? At that moment when the world has seemingly stopped and we struggle to breathe again, we come to the shocking conclusion it is not reality which gives us meaning but rather relationships! A person who knew us, who understood our idiosyncrasies and our obsessions, they were familiar with our pettiness and shallowness, yet they extended friendship and love to us anyway. I realize there may be some who read this and have no concept of the experiences I am describing; yet there are others who have experienced these very same feelings and they continue to resonate in your life. What gives humanity value is not what we do (pragmatism) nor what we wear or own (mercantilism, commercialism) and it’s not even what we think (philosophy); what gives us value is who we are. The Bible says we are “made in the image of God.” Because God has shared some of His characteristics with us, we have value. God then chose to demonstrate His care for us and our intrinsic value by sending His very Son to give each of us the opportunity to live with Him forever, eternally. The very thing we long for—eternity and unbroken relationships—is available to us because “God loved this world so very much.” And for us to realize our true value we merely have to accept the gift He freely gives! Posted on March 13, 2015, in Apologetics and tagged C.S. Lewis, commercialism, comparison, CSI, death, define, eternal, existential, funeral, gift, God's love, humanity, idiosyncrasies, knew, love, moment, obsessions, permanent, pettiness, philosophy, pragmatism, quintessential, reality, relationships, rock, Roger Daltrey, shallowness, temporary, The Who, transient, who are we, Who Are You. Bookmark the permalink. Leave a comment.